Are you expecting? Congratulations! Don’t miss Maternity Mondays at Christina’s Luxuries. Come to Christina’s for the wonderful selection of lingerie, swim, and clothing, made just for moms-to-be. Everything is changing for you, so stay comfortable and stylish—no matter how big the baby bump is! Enjoy a 10 percent discount on Mondays when purchasing maternity wear. 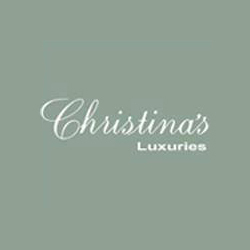 Christina’s has the most luxurious lingerie in Boulder, and beyond. This is the place to find the best from La Perla and Chantelle Paris. Beauty comes in all shapes and sizes at Christina’s. Our customers tell us that we beat the lingerie shops in NYC, LA and Paris. We think they are right!